A two-piece music group from Holland will be making a welcome return to Ireland and playing a few gigs in Mayo this coming Bank Holiday weekend. After a hugely successful visit last year, there is great excitement at the thought of the band belting out the tunes again. 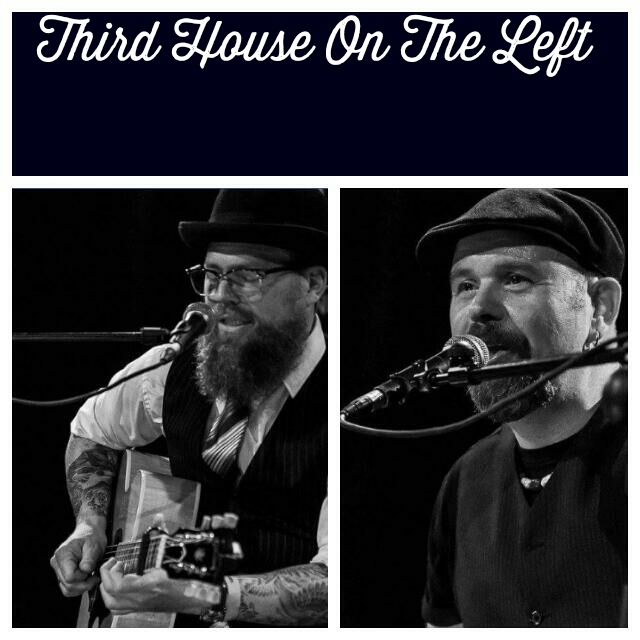 The duo, made up of Guido Brasse and Robbert Duijf, play their own distinct style of blues and traditional root music and travel under the great name, "Third House On The Left". 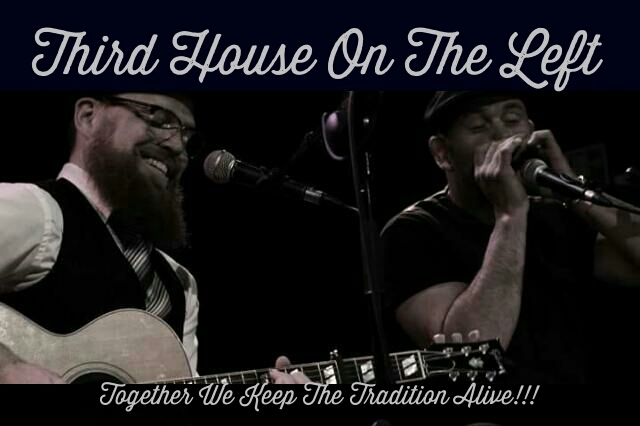 They cite their influence as music from the 1920s to 1940s with names including Charley Patton, Robert Johnson, Son House, Blind Blake and Big Bill Broonzy as well as Gospel and Irish music. They have been together now for 3 years and this is their second time playing together in Ireland. Guido is the main vocalist while also playing harmonica and percussion while Robbert plays guitar and sings too. They say that their music is "pure acoustic music that is genuine and honest, played with heart and soul". Guido was a regular player at the Castlebar Blues Festival for years and after the fantastic reception he received with the current line up said: "we were very excited to be invited back to Mayo 2 years in a row. Looking forward to a few tunes, plenty of fun with old friends and maybe a Guinness or two thrown in!" These guys are well worth checking out and will be playing in Bosh (Castlebar) on Thursday October 27th @10pm, Blouser's, (Westport) on Friday 28th @10.30pm, The Harp (Castlebar) on Sat 29th @ 10.30pm and the Porter House (Westport) on Sunday 30th from 6pm until 8pm.